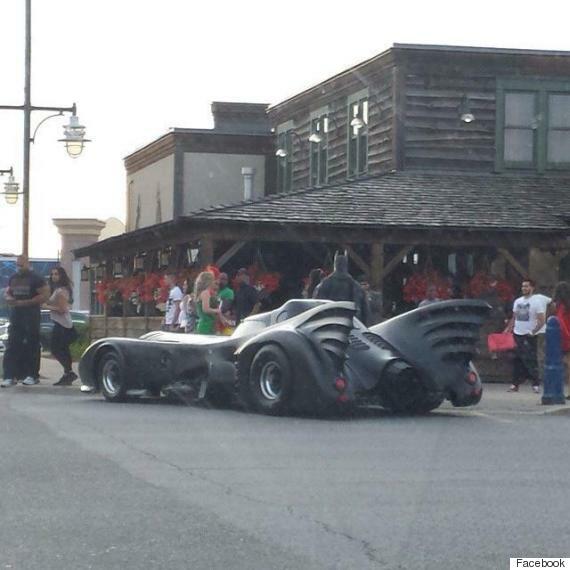 When the Batmobile is fixed, then you'll have his permission to drive. 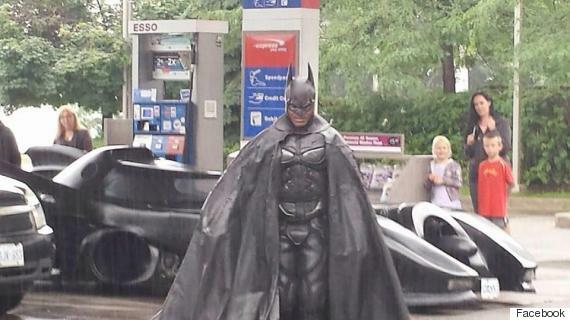 TORONTO - When the Dark Knight has car trouble it's a recipe for traffic chaos. Stephen Lawrence — who prefers to be called the Brampton Batman — was returning from a charity gig at a Kingston, Ont., mall when he heard a disconcerting noise in his car. "I started wearing that and it looks like a big, black cape,'' he said. So he went with it and spent years doing it, his own personal thing. "You don't want people to think you're just nuts,'' Lawrence said. Then he decided to "follow his dream'' to drive a Batmobile. His friend saw one roaming the streets outside Toronto and Lawrence eventually met the man who builds them in Orangeville, Ont. He began saving to buy one, so rather than take transit or drive to work, he decided to "come out'' as Batman and walked home after his late shift at Coca-Cola — a 2 1/2 hour walk. He met many who loved the suit and police officers who wanted to know what was going on. "I told them I was getting a Batmobile and would appreciate it if they didn't pull me over every two minutes,'' he said. Through an unfortunate turn of events — someone broke into Brampton Batman's home and made off with a bunch of stuff— he stashed the insurance money as part of what he needed for the car. "The rest of it I worked my cape off for,'' said Lawrence, who bought a Batmobile from Glenn McCullagh about two years ago. He said the car has broken down on him a few times, which wasn't a big deal when he was still talking to McCullagh — they aren't speaking because of a spat over comments made on Reddit.